Planning your Walt Disney World Vacation is exciting but also can be very stressful. What if we told you it didn’t have to be stressful? Why spend hours researching and gathering different opinions from resources all over the Internet? Why waste your valuable time running around in circles figuring out a strategy to tackle your Disney Vacation? We are experts. Let us handle everything for you!! You need to enjoy the magic from the first thought of your vacation. Leave the details to us! Below are services our team provides at no charge to all of our clients that book their vacation packages through us. How can we do this? When you book your vacation package with us, our suppliers pay us a commission for assisting you. Finding Your Perfect Fit – One size doesn’t fit all and every vacation will look completely different. Sometimes the best fit is a Value Resort and sometimes it is a Deluxe Resort. We find that some families would find their perfect fit off property; in a house rental or in-between two places of interest. We listen to your needs to design your vacation around your family. Planning Conference – During this call or meeting, we discuss all things magical. 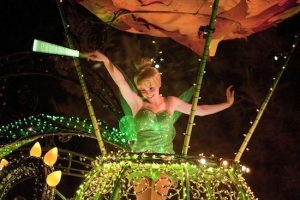 We discuss dining, Fastpass+, Enchanting Extras, character meet-and-greets, parades, fireworks and much more! We carefully evaluate park hours and crowd calendars to help you plan days so you can get the most out of your vacation. Any questions you have, we have the answers! And don’t worry! We are available at all times for you before and during your trip. This time is set aside to go over your wants, needs and questions. Private Client Portal – Only our clients have access to our client portal. Within this portal you can see all of the details of your reservations, submit payment requests, dining requests and much more. You will have access to private blogs and videos that are made just for you. We are constantly adding new content for our clients so we can create the best experience possible. Dining Reservations – When you book a Disney Dining Plan as part of your Walt Disney World Vacation, we are up at 6:00 am EST to make your Dining Reservations. No matter our location or day of the week, we make sure your reservations are booked when your Dining window opens. We take into account any dining preferences or allergies your family may have as well as any character interactions that are desired to ensure an amazing and tasty experience! Fastpass+ – Strategic planning of your Fastpass+ is like a fine art. We make sure to take into consideration the height of your children, their concern level for thrill rides, rider-swap, parades, dining and other factors that all effect Fastpass+ planning. We take stress away and create a magical plan perfect for your family. When you purchase park tickets as part of your Walt Disney World Vacation, we are up at 7:00am EST to make your Fastpass+ Reservations no matter our location or day of the week. Customized Itinerary – When you book your Walt Disney World package with us, we will create a detailed itinerary with park hours, parade times, dining reservations, Fastpass+ reservations and magical tips. This itinerary is created with your family in mind to help you maximize your time and fun! Bootcamp – Much like our Planning Conference, this time is set aside just for you! We go over your magical vacation from top to bottom. We will go over any questions you have, transportation tips, the best places to view parades and fireworks and even the best places to get snacks. We will discuss the Disney App and how to check dining allotments and add additional Fastpass+. Price Monitoring – We never want our clients to pay more than they should. 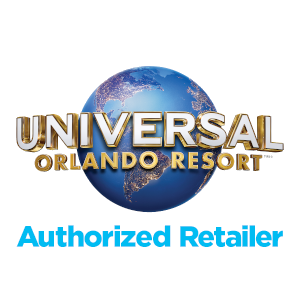 We constantly monitor your reservation for any discounts that may apply. Pixie Dust – We take pride in making every trip magical for our guests. You never know what magic we will create just for your family! It is truly our pleasure to assist you! Continued Magic – We are available to answer any questions or assist you while you are on property. We are just a phone call or message away! *Annual Passholders receive complimentary Fastpass+ planning when you book your room or room and dining package with us. Did you already book your Walt Disney World Vacation directly with Disney but feel LOST on what to do? Do you feel like you are in over your head? Don’t worry! If you booked your trip in the past 30 days, and have not paid in full, we can help by transferring your reservation to us. Nothing with your reservation will change. 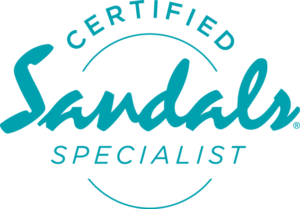 You will receive all of our amazing Concierge Services and there is no additional fee. If it has been more than 30 days since you booked your Walt Disney World Vacation and/or if you have paid in full, we can still help. Even if you booked DVC, a room only reservation with us or are staying with family, we are here to help make this vacation the best one ever! We offer reasonably priced planning fees to help you make the most of your magical vacation. You will receive all of our amazing Concierge Services stated above. *For quoting purposes, a family is considered a party of 6 or less total guests. This quote does not include your accommodations, park tickets or anything of the like. It is simply for our Concierge Services as mentioned above. So what are you waiting for? Contact us today to start planning your magical Disney vacation! We can’t wait to help you plan a magical vacation with memories that will last a lifetime!